The red thick skinned fruit with red color seeds is a store house of Vitamins A, C, E and minerals such as Potassium, Iron, Calcium, Phosphorus,Folic acid etc., Considered as one of the healthiest fruits. In comparison to other fruits it contains the maximum amount of antioxidants. A single glass of pomegranate juice has 40% of the daily supply of folic acid and vitamins A, C and E.
It heals Ulcers and Diarrhea. Its juice contains antioxidants which help in protection against diabetes, heart disease, osteoarthritis. Its high levels of antioxidants stimulate the white blood cells, toxins to neutralize in the body, thereby to promote a strong and healthy immune system. Pomegranate juice has strong antimicrobial and antibacterial properties that help fight bacteria and viruses and strengthen our immune system. It significantly reduces microbes that are found in the mouth often responsible for tooth decay . Anemia is a caused by a deficiency of red blood cells in the body condition. Because pomegranate juice contains ample amount of iron, it helps the red blood cells deficiency in the body in overcoming. Add sugar candy in pomegranate juice and introduce a few drops in the nose, is to control a quick fix, nosebleeds. Pomegranate juice helps in the proper functioning of the stomach, heart and liver. It also soothes urinary tract and facilitates the flow of urine. The high levels of fiber, soluble and insoluble in pomegranate juice helps digestion to improve and regulate bowel movements. Since it has no saturated fat or cholesterol, it is highly recommended for those who want to lose weight. Pomegranate juice is a secret potion to get a vibrant, healthy and youthful skin. A diet high in pomegranate juice may help to slow down the process of aging by constant exposure to the sun causes wrinkles and fine lines to reduce. It also helps to support the regeneration of skin cells and prevents hyper pigmentation and the appearance of dark spots. Pomegranate juice works wonders for dry skin. It soothes dry and irritated skin. Its keeps the skin moisturized. Pomegranate juice is good for pimple prone and oily skin. The use of pomegranate juice helps prevent the outbreak of pimples and controls the production of sebum on oily skin. 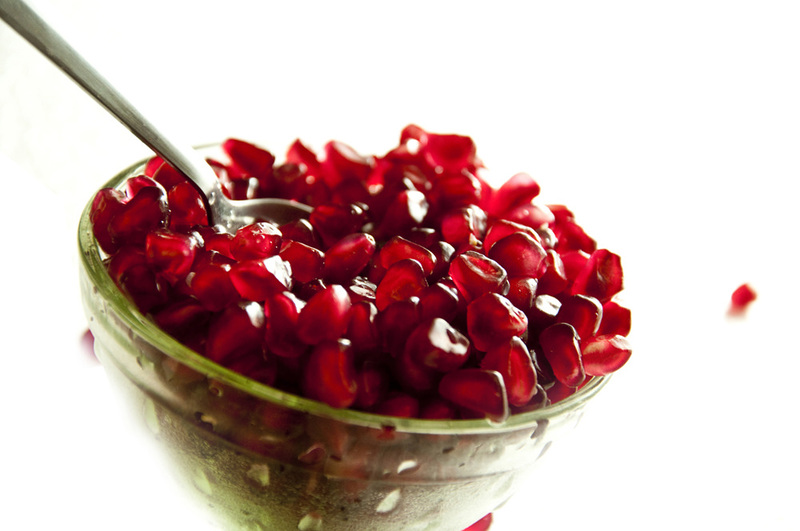 Pomegranate help in the regeneration of cells in the skin. It has an ability to accelerate the process of healing of wounds. Drink a glass of pomegranate juice a day is a fair and radiant skin tone. People with certain plant allergies and asthma are always developing to an increased risk of an allergic reaction to this fruit. General allergic reactions include red itchy eyes, difficulty in breathing and vomiting. Drinking a glass of pomegranate juice is all that is needed to experience the benefits of pomegranate juice. It’s never too late, this miracle to add juice your daily diet plan than the amount of benefits that you definitely outweigh the disadvantages would reap.